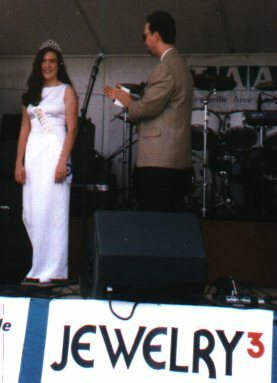 The Miss Lewisville Lawn Party Pageant was created in 1993 as an educational opportunity for young ladies in the fields of public speaking and the media. The Lewisville Area Arts Council, Inc.,(LAAC) and the program sponsor, Helzberg Diamonds, have been very pleased with the success of the program. Both organizations have also been impressed, encouraged and delighted with the talented and gracious young ladies who have worn our crown. Miss Lewisville and her court of two finalists are selected based on written essay, personal interview, public speaking ability and photogenic quality. The two Queen's Court Members and the Queen are selected ant the annual Kick Off Party and Coronation held prior to the festival. A panel of judges, including media personalities, LAAC officials, qualified pageant judges and sponsor representatives are given the task of selecting the finalists and crowing the Queen and her Court. Miss Lewisville serves as an advocate for the arts and education, specifically literacy, and acts as a spokes model for the LAAC and Helzberg Diamonds at selected events. During her year of reign, the Queen is honorary Chairman for various charitable programs which have included: a toy drive for Amos Cottage Children's Rehabilitation Hospital, a book donation program for RIF(Reading Is Fundamental), a "I am Loved Teddy Bear Program" whereby teddy bears were given to Amos Cottage, Brenner Children's Hospital, RIF of Sherwood Forest Elementary School and The Officer "Ted E. Bear" Program of the Winston-Salem Police Department. Over 500 children received bears as a result of this program. Miss Lewisville also participated in a program with Wake Forest University's "Athletes Care Team." Miss Lewisville also makes public appearances at the annual Lawn Party Parade, the annual Lewisville Christmas Parade, the "Sunrise" program on WXII News Channel 12 in Winston-Salem, the LAAC's annual Art Show and Sale of Works, various Jewelry 3 in-store programs and has served as emcee for the Lawn Party Stage and the Summer Night's Concert Series. Miss Lewisville has also been invited to sing the National Anthem at local professional baseball games. 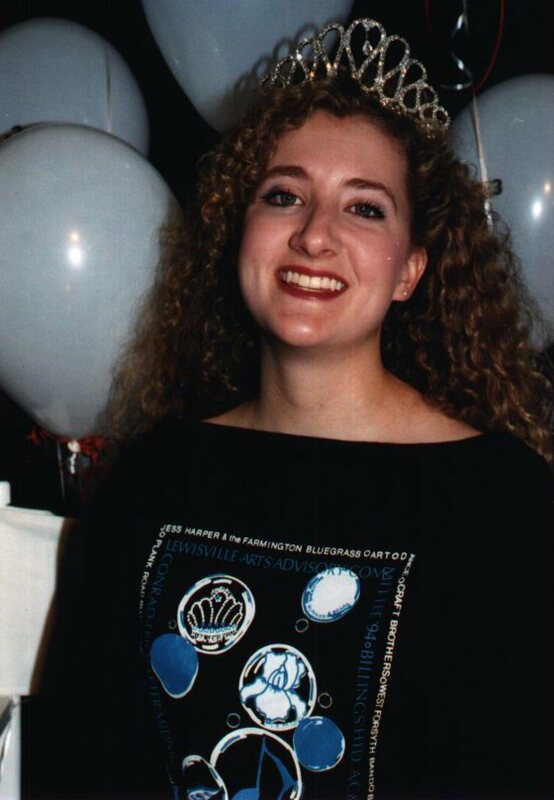 Miss Melody Bays was selected as the first Miss Lewisville in 1993. Her photo appears at the top of our page. Miss Bays was an advocate for college education. As a tribute to her dedication and status as the first Miss Lewisville Lawn Party, the LAAC named an award in her honor. The Melody Bays Award for Education is presented every May to the outgoing Miss Lewisville, to help with the cost of college textbooks. Jewelry 3awards each Miss Lewisville and Queen's Court Member with beautiful gifts of jewelry from the companys line of merchandise. Our new Queen, Sharon Morris , received a beautiful emerald cut emerald and diamond ring set in 14k gold as well as a tiara, sash, flowers,the Two Man Band CD by Peter Tork & James Lee Stanley, Lawn Party souvenirs and a copy of our art print, BRIGHTLIFE, signed by the artist, Gene Hege. The Queen's court members Maggie Nealeans and Megan Ingram also received emerald and diamond rings, flowers, CD's, souvenirs and BRIGHTLIFE prints. 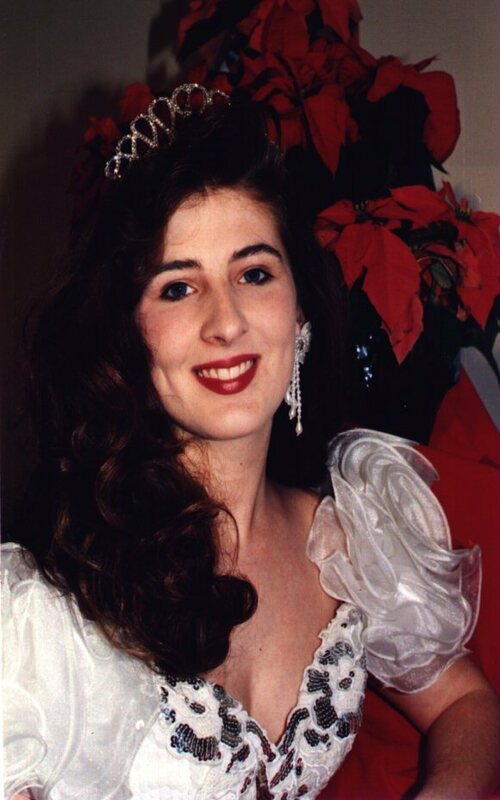 The former Miss Lewisville title holders that appear on our page are: Melody Bays- 1993, Jonna Anderson-1994, Aubrey Carr-1995, Rachel Johnson-1996, Janice Henson-1997, Sharon Morris-1998, Megan Ingram-1999 The Queen's Court has included: Miss Ashley Welch, Miss Caroline Mitchell, Miss Melisse Sparks, Miss Maggie Nealeans. Miss Lewisville Lawn Party 1999 was selected on Saturday, May 22, 1998 at approx 6:15 PM during the 1999 Lewisville Lawn Party. 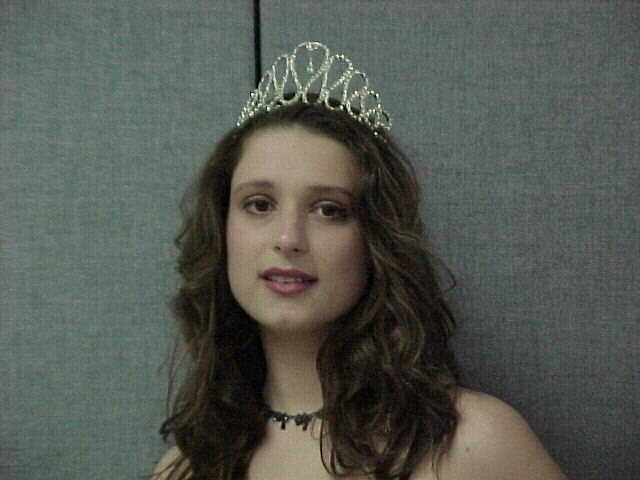 The judges selected Miss Megan Ingram as the 1999 Queen. Miss Ingram is a native of Lewisville, North Carolina. The Judges for the event included: singer/songwriter James Lee Stanley from Southern California, Austin Caviness of NewsChannel 12, Cale Evans of an independant video service and folksinger/songwriter/actor and former member of the Monkees, Peter Tork as a tie breaker judge. There was no tie, so Peter did not have to vote, and opted instead to crown the new Queen on stage. The Winston-Salem Youth Orchestra and David Cone on the Great Highland Bagpipe provided the music for the coronation. Randy Helzberg of Helzberg Diamonds, the program sponsor, presented the ladies with diamond and emerald rings from the company. James Lee Stanley handed out the flowers. 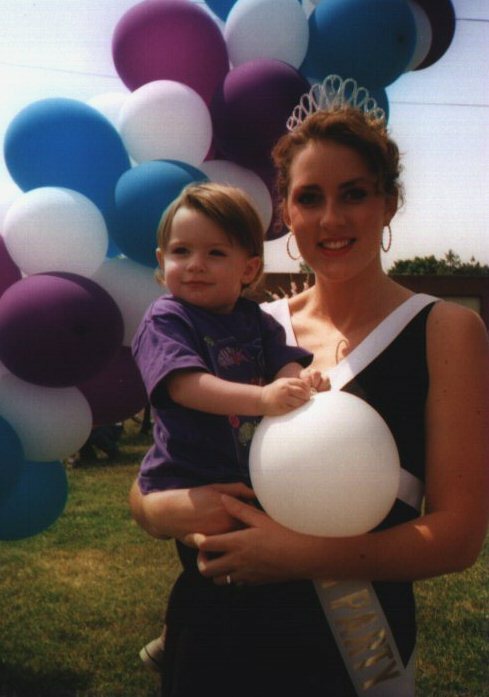 Miss Aubrey Carr- Miss Lewisville 1995 and Miss Nicole Stubbs at the 5th Anniversary Celebration of the Lewisville Lawn Party in 1996. 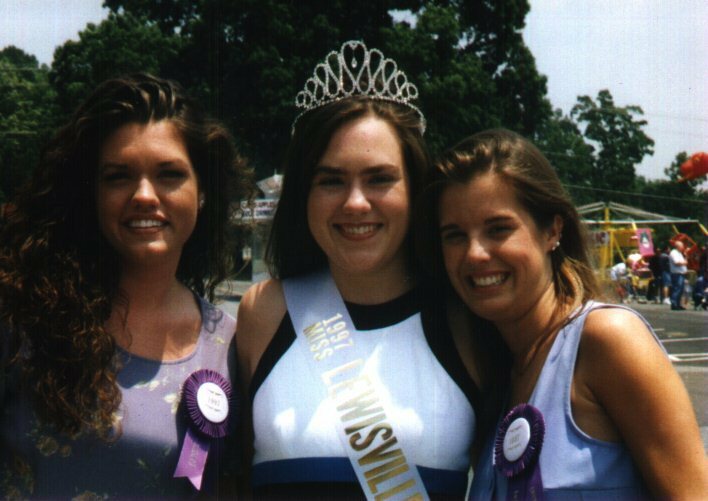 Miss Rachel Johnson Miss Lewisville 1996 and Cameron Kent of Newschannel 12 in Winston-Salem, NC. 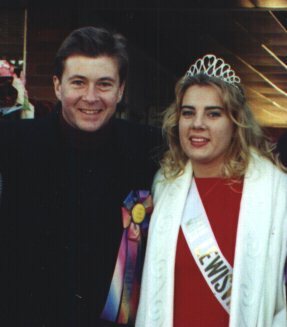 Miss Janice Henson- Miss Lewisville 1997 and Jewelry 3 store Manger, Barry Thorpe, at the 1997 Lewisville Lawn Party Opening Ceremonies. 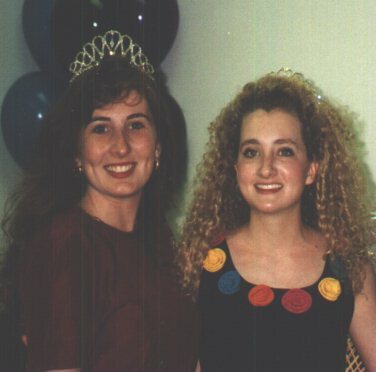 The Misses Lewisville 1993 Melody Bays and 1994 Jonna Andersonat the 1995 Coronation. 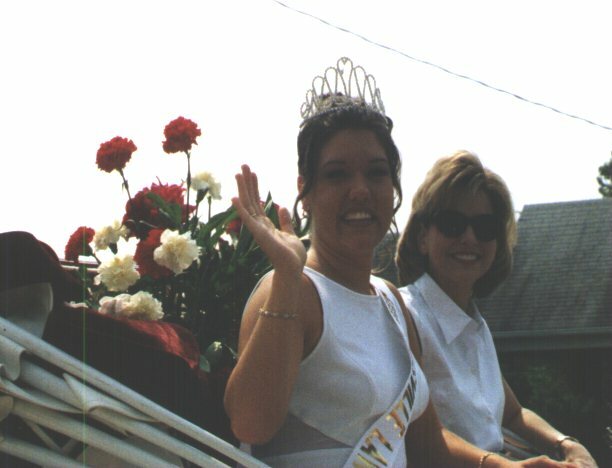 Miss Lewisville 1998, Miss Sharon Morris, enters the Lawn Party grounds in her horse drawn carriage, heralded by Col. David Cone on the Great Highland Bagpipe. Janice, Maggie and Sharon at the 1997 Lewisville Lawn Party enjoying Peter Tork's rendition of "Higher and Higher." Miss Lewisville,. the LAAC and Helzberg Diamonds thank all of you who have visited this page since July 4, 1997!! !